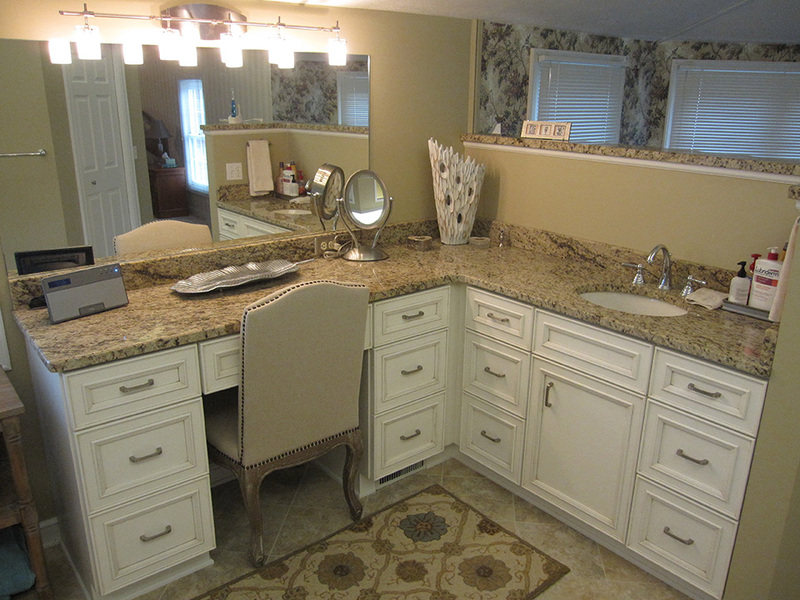 Upscale Master Bath Remodel — R.C. Carpentry, Inc.
An air jetted whirlpool soaking tub was built in next to this custom shower. A heated ceramic tile floor was also installed. This is one the the customers favorite new features! 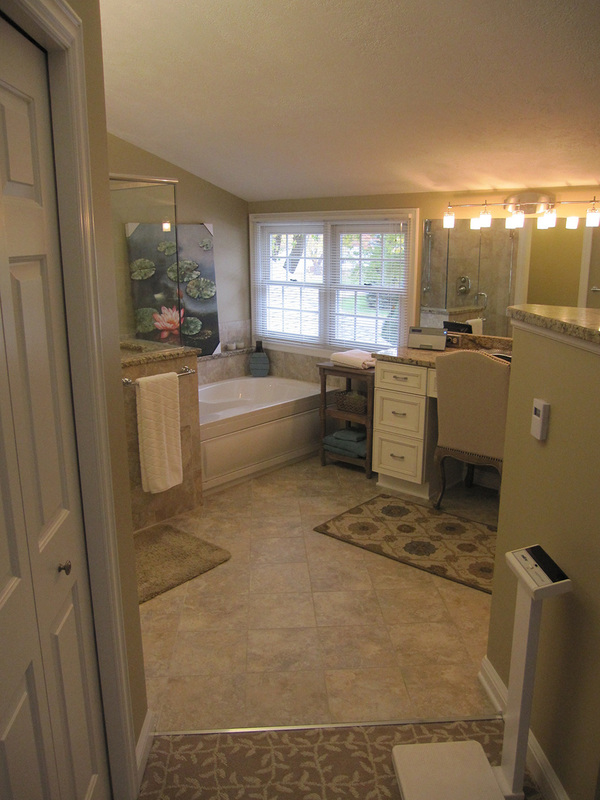 This custom shower was installed to update the existing aging shower. It has a Moen multi-function valve to control both the main shower head as well as the hand held shower. A custom 3/8" clear glass shower door and wall system was added for that high end custom feel. 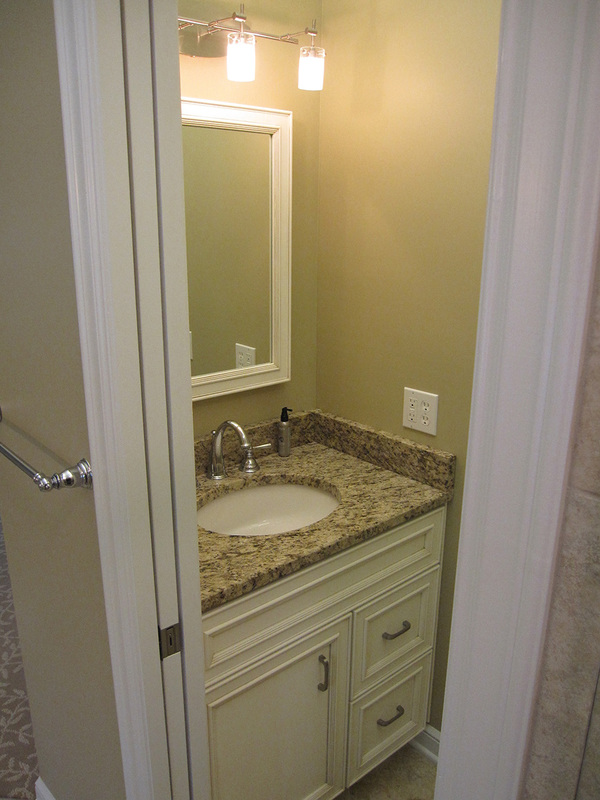 Note the custom granite ledge with the built in corner soap tray. This also features a 3/8" custom glass shower enclosure.